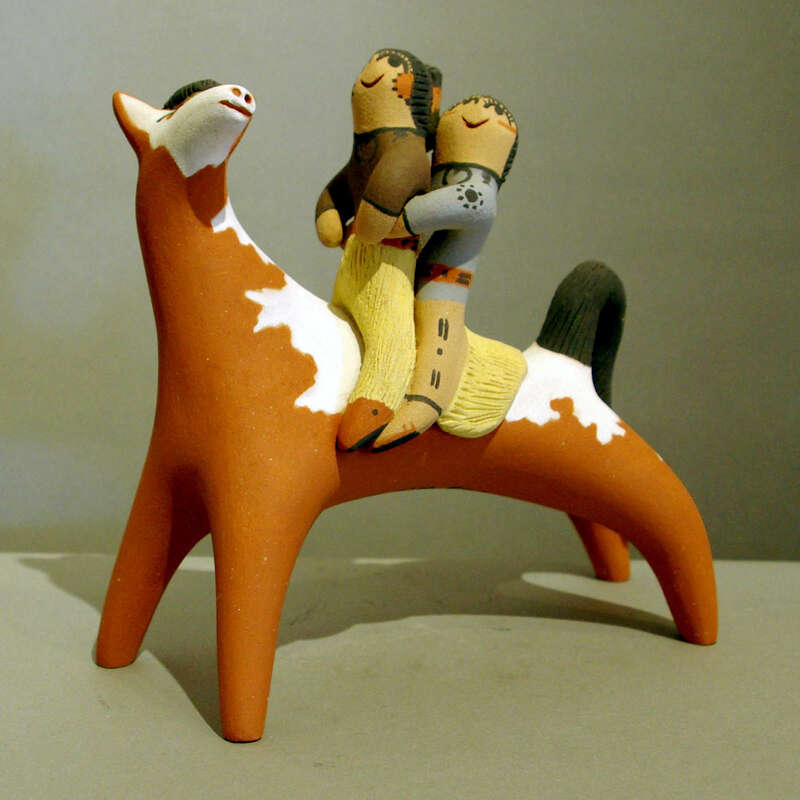 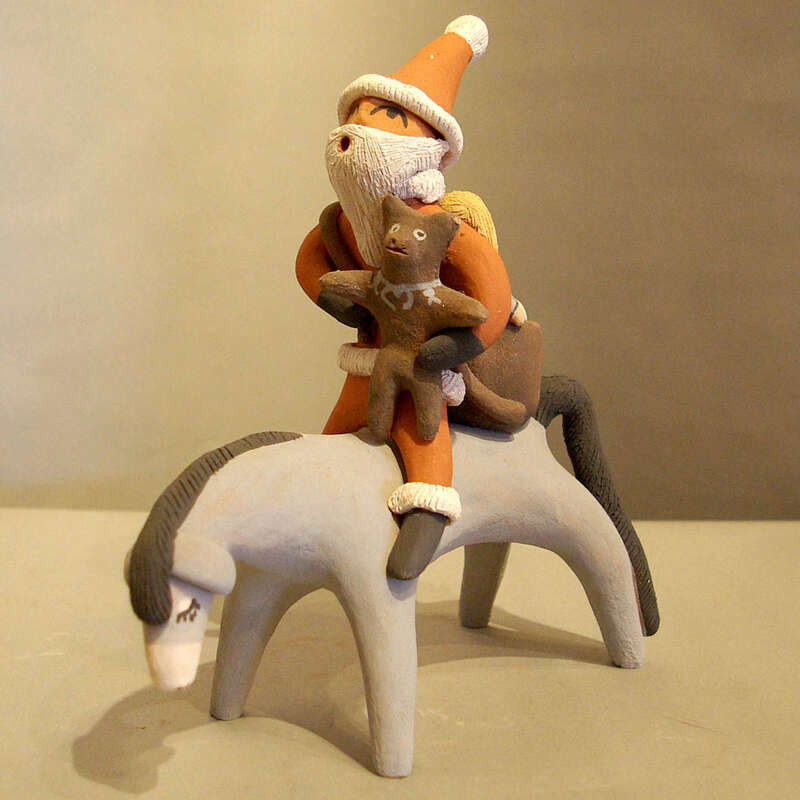 Clifford Kim Fragua was born into Jemez Pueblo in 1957 and began producing pottery in 1970. 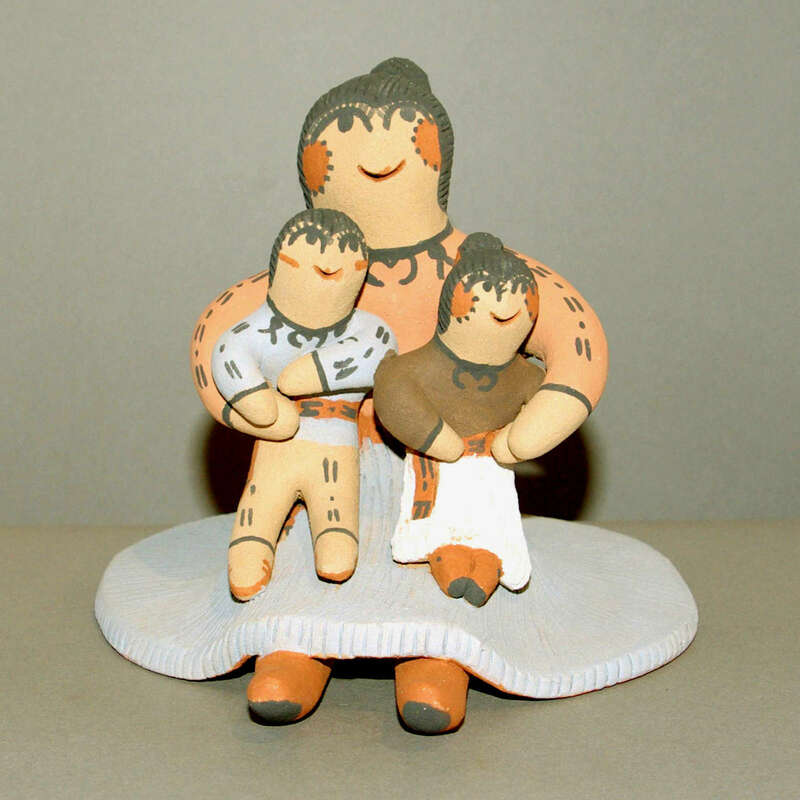 Along with his sisters Emily, Bonnie and Carol, he learned the traditional Jemez ways of making pottery from his mother, Grace L. Fragua. 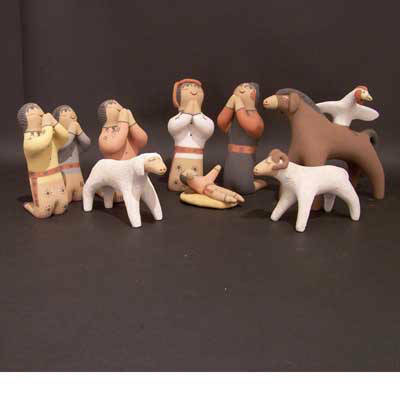 Clifford specializes in pottery figures: koshares, animals, nativities, storytellers, corn maidens and Christmas ornaments.